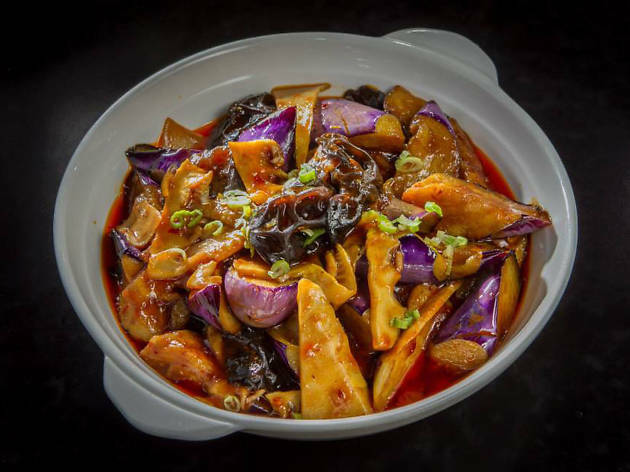 Mama Ji's started as a pop-up in the back of Queen Malika cafe before landing in the Castro, where it now offers quality Szechuan cooking. 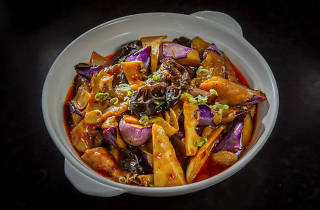 Mama Ji (owner Lily Ji) cooks with recipes inherited from her family, putting her own spin on dishes like pan fried turnip pudding, deep fried shrimp dumplings, chicken wonton noodle soup and more. On weekends, cure your hangover with a smattering of dim sum plates coupled with a Belgian ale. House favorites include pea sprout shrimp dumplings, chicken shrimp shumai, spicy cold noodles and fried pumpkin “cakes” filled with red bean paste for dessert.